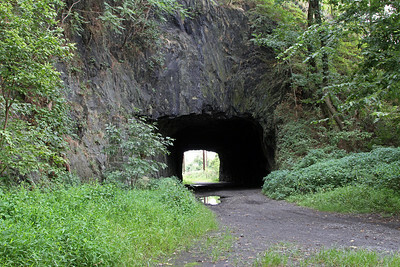 The original Pennsylvania Railroad Columbia Branch grade was built on a tight shelf along the Susquehanna River's east bank between Columbia and Chickies Rock (just south of Marietta). 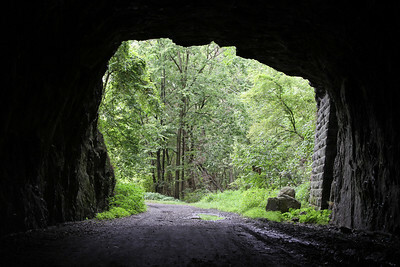 In Columbia, Point Rock extended to the river's edge, requiring the construction of 180-foot-long Point Rock Tunnel. 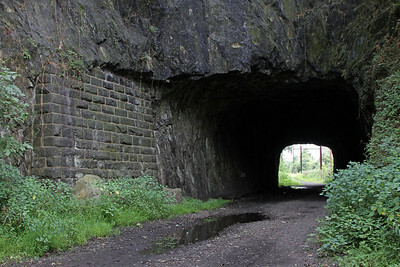 The curved tunnel was blasted through solid rock without the need for lining, with a retaining wall of cut stone along the hillside at the tunnel's north end. To minimize grades and increase capacity, the Pennsylvania Railroad completed its new "low grade" in 1906. 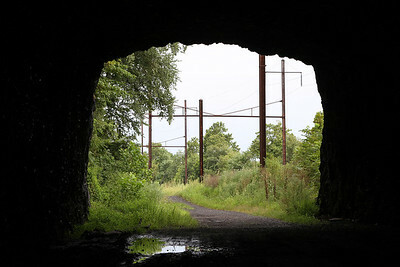 This new alignment cut through the Susquehanna River on a fill between Point Rock and Chickies Rock, creating Kerbaugh Lake between the new and old grades and bypassing Point Rock Tunnel. Following a Susquehanna River flood in 1936 that destroyed the low grade at Chickies, the Pennsylvania Railroad rebuilt but sought a long-term solution to the flood risk. 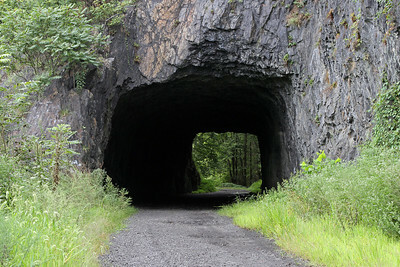 Shortly after World War II, Kerbaugh Lake was filled and tracks removed from the original grade including Point Rock Tunnel. The former Columbia Branch grade and lake are now part of Chickies Rock County Park.